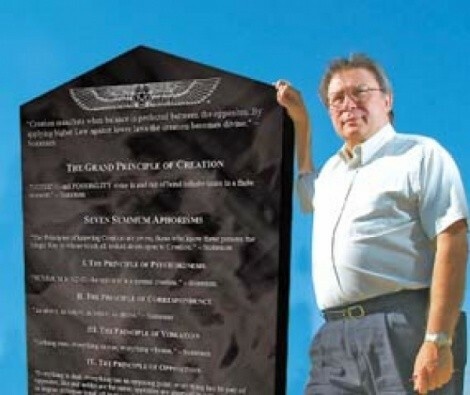 Local First Amendment attorney Brian Barnard made national news recently when the U.S. Supreme Court ruled against his client, Summum, a local religious group that sought to install a slab listing its Seven Aphorisms in Pleasant Grove’s Pioneer Park. The park already hosts a monument inscribed with the Ten Commandments. The ruling recognizes a government’s right of speech to define its cities by choosing monuments that reflect the local culture. The court of last resort has weighed in, but you don’t seem to be giving up. Why? The Supreme Court decision dealt only with the free-speech aspect of the case. Not presented and not decided was the Establishment Clause aspect. The fair City of Pleasant Grove is favoring one set of religious beliefs to the exclusion of another. That discrimination violates the doctrine referred to as the separation of church and state. Government cannot show preference to one religion. That will be dealt with in the second round of this litigation. There has never been a trial or a final ruling in the case. The case went to the Supreme Court at the very preliminary stages of the litigation. Is this case ultimately about separation of church and state or is it about Summum having a monument? Summum wants equal access. It does not take a constitutional scholar to understand that concept. If a city lets one group espouse religious thought on a permanent monument in a public park, the city must allow everyone do so. Summum has never asked that the Ten Commandments monument be removed. What was it like to argue before the U.S. Supreme Court? This was the first time one of my cases was decided by the Supreme Court. I attended but did not argue. We had pro bono and very able assistance from a nationally known law firm, O’Melveny & Myers. How many billable hours go into a case like this? More than a million dollars in attorney fees total have been incurred by all sides in pursuing and defending this case. Do you relate to any of Summum’s Seven Aphorisms? Are residents of Pleasant Grove missing out? Pleasant Grove claims the park’s purpose is to honor the city’s pioneer heritage. Utah’s heritage is that of a small newly founded religion coming West to practice its religion freely and without persecution. To honor its pioneers, the city squelches a minority religion’s display and perpetuates discrimination against a fledging religious group and their beliefs. The irony is enormous but has somehow escaped the city leaders.